What would you do to get into Palizzi Social Club, the toughest table in Philadelphia? Buy a membership card on eBay for $200, perhaps? You can try, but you would be shot down. And the person who listed it would be banned. Palizzi — a retro tribute to old-time South Philadelphia Italian culture set up in a rowhouse on 12th Street near Reed — is, in fact, a social club, open only to members and their guests four nights a week. No reservations. 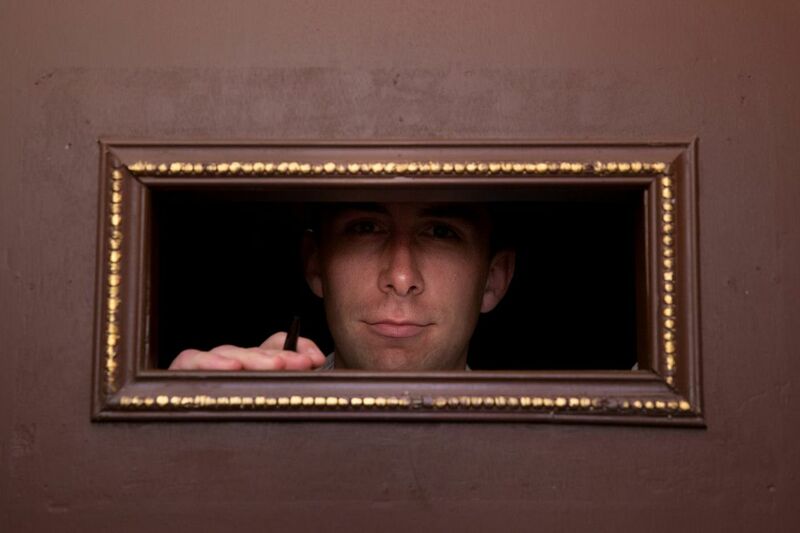 You walk up the steps and show your card to the guy behind the sliding peephole in the front door. If there’s room, you get in and enjoy your Negroni and spaghetti and crabs. If not, you wait outside on the sidewalk. The spaghetti and crabs at Palizzi Social Club. Palizzi exhausted its supply of $20 lifetime memberships shortly after its spring 2017 opening. It was the only way to manage the flow of customers. Then the accolades rolled in — locally from Inquirer critic Craig LaBan and nationally from both Bon Appetit and Esquire, which named it among their best new restaurants in America. Everybody seemed to want in. Feeling charitable last Christmas, Baldino says he sold several cards to members who wanted to give them as gifts. These cards did not include a name, making it easy to transfer to a friend. One member, whom he declined to name, gave a card to a coworker, who decided that he was moving out of town and would not need it. He listed it for sale on eBay for $200. Manager Guido Martelli got a tip about the online auction, which had ended. Baldino noted the serial number and voided the card in question. The eBay listing for the Palizzi Social Club membership card. Not, in other words, to a stranger. And certainly not for profit. The seller refunded the money, Baldino said. He also banned the member. The twist is that Palizzi plans to reopen its membership rolls in March, Baldino said, declining to specify how many cards will become available and how to obtain one.